I just uploaded a new copy of “The Snake’s Pass” to bramstoker.org. This one is a full color scan of the UK hardcover edition. It includes the entire novel. 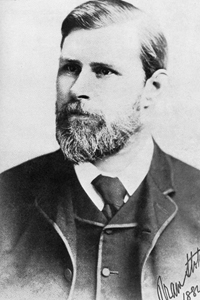 “The American ‘Tramp’ Question and the Old English Vagrancy Laws” was a nonfiction article by Bram Stoker. It was first published in the November 1909 issue of the North American Review, New York. “The Ethics of Hall Caine” was a nonfiction article by Bram Stoker. It was first published in the August 1909 issue of The Homiletic Review, Funk & Wagnalls Company, Publishers, New York. It was …republished in book form in April 2011 in “To My Dear Friend Hommy-Beg: The Great Friendship of Bram Stoker and Hall Caine” by The Swan River Press, Dublin. ‘He’s stealin’ my words too!’ murmured the Sewing Woman under her breath. She didn’t dare to speak out loud for fear of offending him. Murphy was a kindly creature, and often showed her small kindnesses. ‘”May I have some forrms, surr?” I sez. ‘”An’ their pay, sir?” I sez. ‘”That’s thrue!” sez I, an’ wid that I wint out. I got me forrms from the printer next day – hundhreds, thousands iv them – an’ set to worrk. I had a game av me own on, an’ I tuk not a sowl in me confidence. I knew ’twas no use gettin’ childher at all, for whin the time’d come, the magisthrates wouldn’t let thim wurrk at all, at all. So I luk’d round an’ picked out all the small young weemen I could find that was nice an’ shlim. ‘My! but wasn’t there a lot iv them. I had no idea that London was so full iv shlim young undher-sized weemen. I suppose I used to like big girrls best, and plazed me eye whin I selected them. But there was I now engagin’ the shmall wans be the score, be the hundhred, an’ just whisperin’ a word to aich iv thim to hould their tongues about their engagement, lest others’d crowd in an’ kape thim out. ‘As my friend Parmentire said earlier in this symposium, the humour is not always to its – ah! professional exponent, the Comedian. It may somewhat mitigate the gloom in which the enactment of my special roles in t…he greater passions for which opportunity has been given to me – and others – yes, to others – by the Master, Shakespeare, and the galaxy of dramatic, poetic talent which has carried down to our day the torch of tragic thought, if I, in this hour of social communion when, if I may be allowed the expression, the buskin is unlaced and the sock is – ah! somewhat eased, relate to you a somewhat humorous episode of my “hot youth,” when, like our dear Prince Hal, I occasionally made the welkin ring in its darker hours before the dawn. ‘It is, perhaps, the contrast between my hours within what I may call my art-workshop and those without its pale – what a great writer has called the “irony of things” – which makes my memory cling to little trivial absurdities of days long gone; whilst the same memory has lost sight of many an hour of paramount triumph, snatched from eager humanity even before the very thrones of the Kings of the Earth. Ah, me! those halcyon days which are gone for aye! But “sit still my soul” and “break my heart, for I must hold my tongue.” Well, it was when I was in the stock at Wigan, when Hulliford Greenlow controlled the theatrical destinies of that home of the black diamond. A few of us choice spirits were used as a habit to assemble nightly when our work at the theatre was over. Our rendezvous was at the hotel, or rather I should say the public-house, known as “The Merry Maiden.” It was in reality but a drinking house; but there were a few bedrooms which were now and again occupied by some overcome reveller. The place, however, had so bad a reputation in the eyes of the police that no one would willingly remain in it after the withdrawal of the extraneous company, unless quite overcome by his libations to Bacchus. Naturally our conversation, if at times pronounced, was bright; and naturally, too, there were at times jokes, both practical and – and – ah – verbal, consonant with the various dispositions of the nightly frequenters of the house. There were a few choice spirits who were outsiders to our habitual galaxy, and efforts were often made by others to penetrate our charmed circle. We were, however, conservative in our tendencies. We cared for none of the guests who were not good company; and the landlord, a genial soul but thoroughly equipped with business instincts, did not care for any company which was devoid of surplus cash. Naturally the more choice spirits amongst us had at times periods of – ah – petrifaction, when, in fact, the ghost had not walked; and at such times we were wont to reap in a practical shape the harvest of which the seed-time had been a certain toleration extended to repetition on the part of some of our eclectic community, and the exercise of some of our histrionic talents in enacting the part of listeners. ‘One night we had a strange experience in the shape of a fresh guest. He was a very young man, a weakling and somewhat deformed. In fact, our genial host called our attention at first to his – ah – eccentricity by the humorous way in which he addressed him as “my lord,” it being our custom in those days to designate as a nobleman anyone whom Dame Nature had in a malevolent moment inflicted with a curvature of the spine. The youth was ill at ease, but he was so manifestly ambitious to share our revelry, and he was so eager in his appreciation of our merry quips and cranks – the flashing by-play of our intellectual swords – that we decided tacitly to allow him to remain amongst us. Our humorous but business-like host took care that the new-comer’s expenditure on the goods of his trade was commensurate with his enjoyment. On further visits of this young nobleman he so harassed him into needless expenditure – an expenditure manifestly ill according to his means, for his garments were poor and worn – that one or two of our duller spirits interfered, and chid our host into a more decorous observance of the economic proprieties. The youth would join us at irregular periods, but seldom a week passed that he did not make his appearance. After a little his shyness wore away, and now and again he ventured to make a remark, generally of an abstruse kind and necessitating for its full understanding an intimate acquaintance with the classics. By this time, too, we had come to know something of the youth’s personal surroundings. He was the son of a man who had been a teacher in a school, but who had been killed at a fire whilst he was helping at a rescue. His widow, being penniless, had, of course, to go to the Union, where the boy was brought up. Being a cripple and unable to play or work with other boys, he had been allowed to take advantage of the school, and had read all the books he could get and had taught himself some of the dead languages. When these facts had come to our knowledge, some of our community were not well pleased that he should have come amongst us. There is, Ladies and Gentlemen, a very natural prejudice against the workhouse taint, and some of the high-spirited members of our little coterie resented it. Our genial host was one of the most indignant. He was, though himself a man of humble origin, one of very fine feelings, and he said it hurt him, and it hurt his house, to be tainted with any workhouse scum – such was the humorous way in which he expressed himself. “To think,” said he, “of his damned impudence, comin’ ‘ere to my ‘ouse – my ‘otel – a-spendin’ of money while ‘is hold mother is a-livin’ in the workus, kep’ by rates paid by you an’ me. I’ll let ‘im know what I thinks before I’ve done with ‘im.” The man who had told us the story set the landlord right upon one point; the old lady was not living in the Union, nor had been for some time. So soon as her son had begun to earn money, which he did, it was said, by writing for papers and magazines, he had taken her out, and they lived together in a tiny house some distance outside the town, where rent was cheap.